If you're a huge Dallas Cowboys fan and are planning to attend a game next season, why not consider booking a special travel package? Specialty packages for football fans can offer several cool benefits that you won't get if you book your tickets and hotel independently. 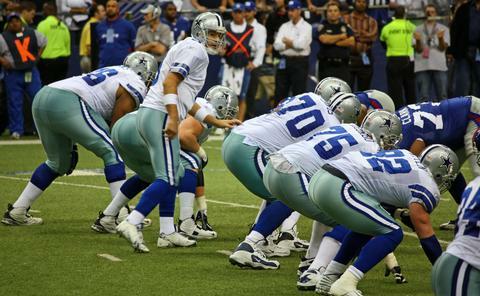 If you're looking for a Dallas Cowboys home game travel package, here are some great options. Vip Sports Getaway offers several options for game day in Dallas. Their packages include tickets, luxury transportation, and hotel accommodations. They also feature the Bill Bates Ultimate Tailgate Party, complete with beer, margaritas, a catered meal, autographs from Bill Bates, and a special guest appearance from Charles Haley. Drive In Packages: If you can get yourself to Dallas, they will handle the rest. Pricing for the 2018-2019 NFL season is yet to be released, but upper level prices were $499 in the 2017-2018 season while lower level prices were $899. Lower level packages include a two-night stay, while upper level only includes one night. Champion Sports Travel offers a variety of one- and two-night land-based packages for specific home games. Airfare and transportation are not included. When the new season is announced, packages are searchable by each game day. Platinum Package: This package includes two nights at Gaylord Texan, game day transfers to and from the hotel, game day breakfast, VIP tailgate party, and upper level corner tickets to a home game. Sample pricing per person for the two-night package starts as low as around $750 when sharing a room among four guests, going up to nearly $1,500 when booking a solo hotel room. Gold Package: With this package, you get two nights at The Sheraton Arlington, upper level corner tickets, daily breakfast, round-trip airport transfers to and from the hotel (DFW only), and the VIP tailgate party. Sample pricing per person for the two-night package ranges from around $650 quad up to nearly $1,400 single. None of Champion's packages include AT&T Stadium tours, but you can purchase those tickets independently through Ticketmaster. You also have the option to purchase ticket upgrades for each game as well. There are several companies that offer custom-tailored packages to both home and away games with the Dallas Cowboys. 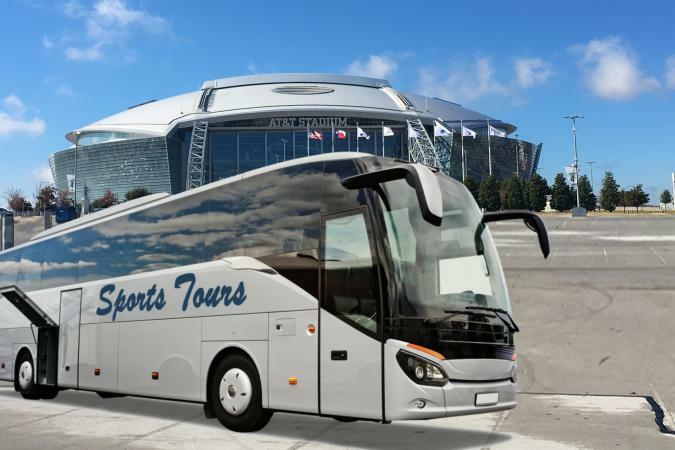 Star Sports Tours is the official fan travel partner of the Dallas Cowboys. They offer a variety of home and away game travel packages that range from fairly basic to all-inclusive packages that provide tours of the stadium and hotel accommodations where the team stays. Founded in 2011, Star Sports Tours has garnered a lot of public support and maintains an A+ rating with the Better Business Bureau. Be sure to check out their video testimonials from players and prior guests. Prices for next season have not been released yet. You can pay a $200 priority deposit now, which will go towards the package you buy. The packages should be released in April, just before the NFL schedule releases. Air Packages: Round-trip airfare, hotel, round-trip transfers, and upper level game tickets are all included. Bus Packages: These are for 35 or more people, offering round-trip bus transportation and upper level game tickets. Land Only Packages: You get hotel accommodations, round-trip transfers, and upper level game tickets. All packages include tax and service charge. Add on services are available for things like tailgate parties, stadium tour, custom ticket options, hotel date adjustments, customized t-shirts (with air package only), and more. Because these are completely customized packages, pricing is not available. You will need to contact MLV directly to put together the package and price it out. When planning your Dallas Cowboys home game travel package, there are more options available between different operators. However, many of the benefits are quite similar, and may even include lodging at the same hotels. Away games are more easily coordinated through Star Sports Tours or Major League Vacations. If your schedule allows, include some additional time for checking out Dallas area attractions, as there is a lot to see and do in the area. If you're planning to attend some of the most popular rivalry games, be sure to book your package as soon as the schedule comes out, or you may miss out on the best tickets!